A very straightforward way to learn this classic instrument. In this book and accompanying audio CD, a utoharp hall of famer Evo Bluestein provides a beginning approach to a repertoire of songs and fiddle tunes popular in old-time and bluegrass circles. Basic rhythm, chord accompaniment, lyrics and music notation make this book useful for other lead instruments as well, including fiddle, mandolin and voice. Bluestein is known as the foremost player in the style pioneered by the late autoharp master Kilby Snow. 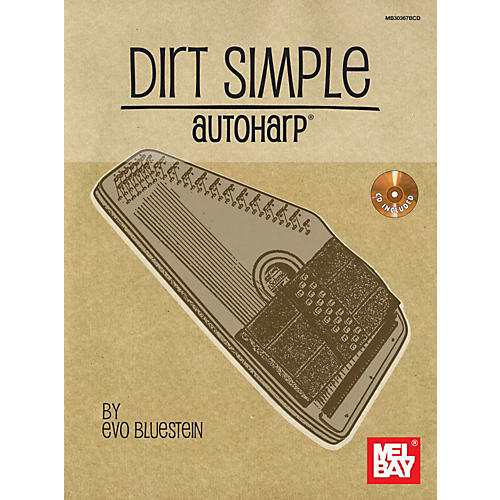 Bluestein has also developed two successful and popular brands of autoharp, The Evoharp and the Sparrowharp, built by two world-class autoharp luthiers. In addition to helping many adults learn music on the autoharp for over thirty years, children in numerous schools have learned to play and sing using the autoharp in programs that Bluestein has implemented. He is also an accomplished dance caller, teaching folk dance as an independent contractor throughout California schools. Bluestein is co-founder of the California Autoharp Gathering.